Now that you have a website, you're likely wondering how to get it noticed by the search engines. You may even be considering hiring a SEO expert to help you along. You've visited their websites. You've spoken to them on the phone. You've received a few quotes and are about to pull the trigger on hiring one who promises you fast results, higher search engine rankings, and all within your budget. You're also about to make one of the biggest mistakes of your life! Ask most any big corporate CEO what their company is doing about SEO and they'll answer, "Everything!" Now ask them what "everything" means and they won't have a clue. All they know is what you know. You know that you need Search Engine Optimization, and just as the big corporate CEO, you are placing your trust in the hands of experts. As a business owner, become an informed consumer. An informed consumer is one who is protected from unfair and deceptive practices in the marketplace. The SEO marketplace is one that is rife with unfair and deceptive practices. The trick to SEO success is finding the right expert. And you can find seasoned experts who consistently do a great job, if you know how to discern the difference. When you negotiate the terms of an engagement with a SEO expert, discuss the strategies they will use to help you gain better search engine rankings. 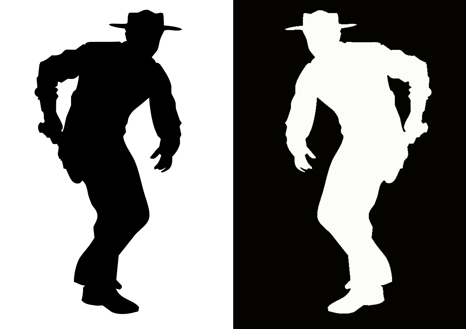 Ask them specifically about their use and history with Black Hat vs. White Hat strategies. What's the difference? Black Hat vs. White Hat, that is the question! White Hat techniques tend to produce results that last a long time, whereas Black Hat techniques tend to producevery fast results that could result in sites eventually being banned either temporarily or permanently. Search engines invest enormous amounts of cash to minimize the effect of Black Hats by penalizing sites they discover using black hat methods. They either reduce their rankings or eliminate their listings from their databases altogether. You may get away with it for a little while, but you will eventually get caught. Think it can't happen to the big corporate CEO? In February 2006 Google removed both BMW Germany and Ricoh Germany for their use of deceptive practices. Both companies, however, quickly apologized, fixed the offending pages, and were restored to Google's list. I guess their CEOs were doing "everything" for SEO. White hat techniques work but it will take some days. Many don’t understand that and they use black hat and ruin their site/blog. I am confused why many big SEO companies are still using black hat software and techniques. Is it safe for those clients who wants quick results? Thank you for asking Adisa! Black hat techniques do produce quick results, but the quick results will always incur negative consequences in the long term. Search engines impose severe penalties on sites that engage in black hat techniques, including banning sites from search engine results. The biggest problem of all is that once the black hat techniques catch up to the search engines, the SEO companies that used them have already cached the check and are long gone. There’s no accountability.